The Search Engine giant and the originator of Android Operating System, Google needs no introduction. 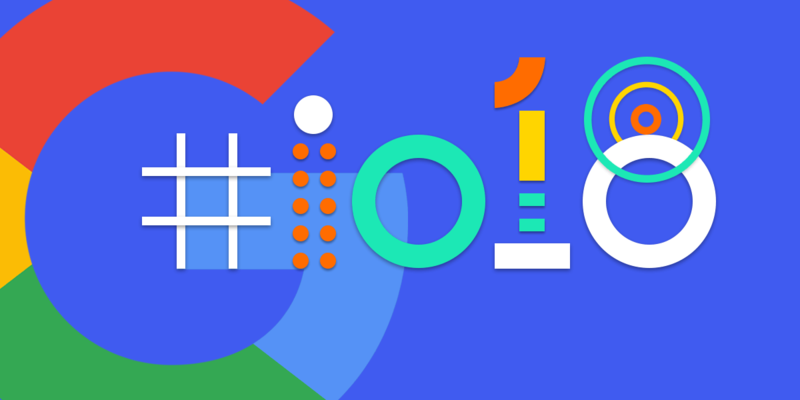 It hit the headlines today yet again, and this time around it’s the Google I/O keynote 2018, where the Company made some of the most crucial announcements. The venue of this grand event was Shoreline Amphitheatre in Mountain View, California and Google CEO Sundar Pichai unveiled a series of updated products and features, which focused and revealed Google’s futuristic tendency to take the rapidly-changing technology forward. So, let’s run down in quick time to view what Google has got from its box of updates and other vital information. In his keynote, Pichai talked about all; from Android P to contribution of AI and ML in the health sector, the Google Assistant, the smart compose feature in Gmail, Google Photos and much more. Google is planning to simplify the technical terminologies with the intention of making it more and more user-friendly. The navigation process has got refurbished with the swipe up going on a small home button towards the bottom, which opens a new horizontal app switcher. On the second swipe, you get app drawer. In addition, now the apps will rotate according to your will. If the “Auto Rotate” turned off and user rotates the device in a way to rotate the screen, as expected the screen will not change orientation but it will show an icon in the bottom right corner, if user clicks it it will change the orientation. Google is known to offer innovative changes and one such fine example is the initiation of digital wellbeing. It comprises a new dashboard informing users how they had spent their day and which are the particular apps they use frequently and its duration etc. You can now control time, spend on apps. Plus, it also has a Do Not Disturb feature which enables you to block visual notifications and vibrations. The interesting ‘Shush’ mode will allow the Do Not Disturb feature to turn on automatically if the phone is facing down towards the surface. However, you will still be able to receive important calls. Google has introduced this new feature keeping in mind specifically the users who are habitual of operating their devices in the dark before sleeping. The Wind Down will fade the display screen to grayscale if you are using the phone at night. Google has joined hands with DeepMind to develop a feature known as Adaptive Battery. The intentions are clear; it wants to offer improved battery management services. This new initiative will allow the users to save their battery life for those apps, which they do not use very often. The Adaptive Brightness has been brought for enabling the user to choose the brightness of the phone according to his needs, keeping in view the lighting condition of the place. 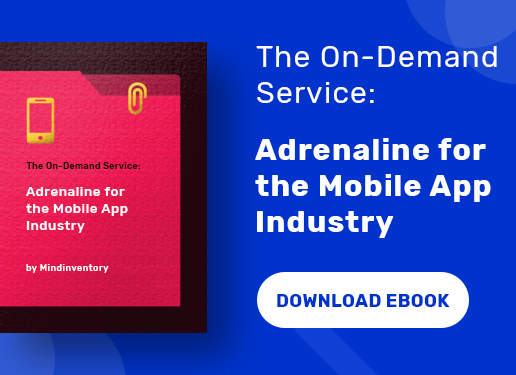 Android P has been equipped with another special weapon called App Actions, which will envisage the actions according to the usage pattern of the user. With its help, you can do your next set of actions very quickly. For example, if you are booking a flight, you get an App Action, allowing the booking to be done through Paytm. Slices mean small portions and this feature helps developers to take a slice that can be delivered at different places. For example, if you are looking for a restaurant to book a table, a slice from Zomato will allow you to book it for which you don’t have to particularly visit that app. We already know about the humongous popularity that Google Assistant has gained worldwide with a reach of more and more gadgets and devices. In fact, it will make its presence count in seven nations. However, Google’s aim is to provide more impetus to its virtual assistant on two scales. First, it will enhance fun-filled and entertaining features and secondly, it will be easier to operate. So, get ready; you might soon find the voice of renowned singer John Legend, assisted with six new voices. And what’s more interesting is that you don’t need to repetitively speak “Ok Google” to invoke Google Assistant, It will support continuous conversations, which allows you to invoke more interactive commands, It will also allow you to send multiple command together in single go like “Remind me to buy Milk and call jane”. Google has something for the kids and children as well. It is launching a feature called ‘Pretty Please’, insisting children to say ‘please’ to Google Assistant, same as they try to convince their parents for anything. The Action Link in new Google Assistant will enable the voice app developers to share their apps anywhere. The user just to click it and he will be automatically be driven to the developer’s app in the Google Assistant. For those of you who are relatively tired of typing the monotonous emails every day, Google has something to offer. It is all set to introduce the Smart Compose feature, an assistive technology that will complete the sentence for you. For example, if you are typing a simple email to HR asking for a leave, Gmail will suggest you words and phrases related to your topic to finish the line, user just have to hit tab to use the suggestion. The words will be based on Google’s own suggestion. In fact, this is the next step of Smart reply feature, which was introduced a few months ago and enabled users to give faster response and replies to the emails. 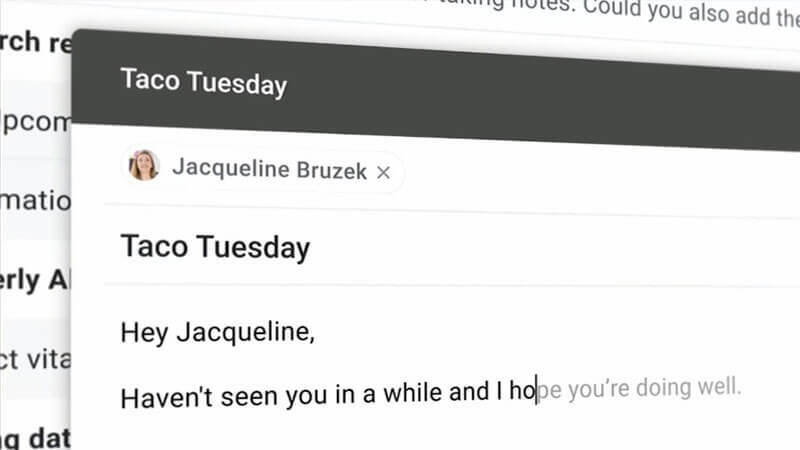 The Smart Compose is expected to arrive within the coming weeks for personal Gmail users and few months for professional G Suite users. If we talk about the updates in Google Photos, it has been powered to identify the user’s friend and suggests sharing the photo with that friend. There are edit options such as that will allow users to convert black and white photos to colorful pictures. Google Photos will now automatically recognise your photos of documents and convert it to PDF for your convenience. It has near with the Google Assistant but it deserves a special mention in this list due to its ideal features. During the keynote, CEO Pichai exhibited a demonstration where he ask Google Assistant to book an appointment for a haircut and surprisingly Google Assistant made a real phone call to the Salon pretending to be a person. Well, you can call this unique feature Duplex, an advanced technology which will allow you to make calls on phone minus human interaction. Google had been working on it since long and it will be made available on experimental basis after few weeks. 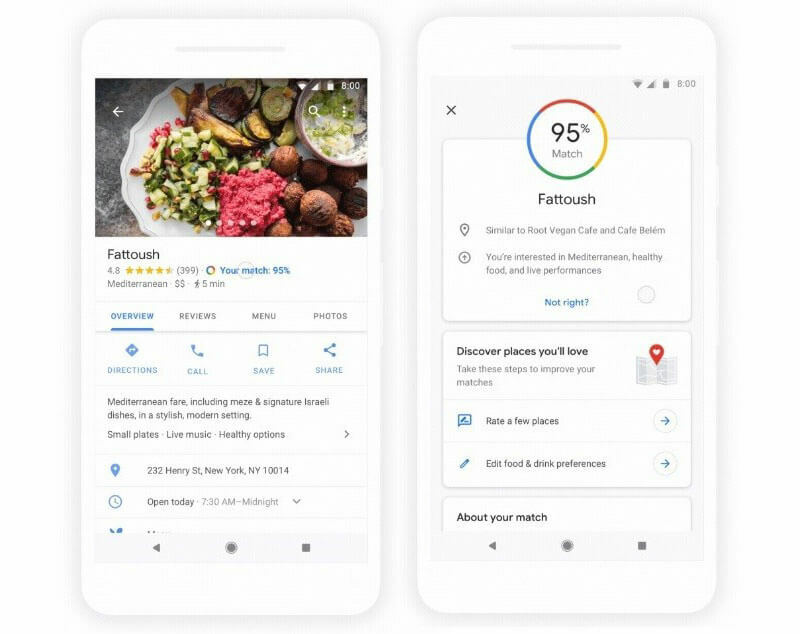 The Company has also made some progress in Google Maps and Lens by adding a new feature better known as the For You. With the help of this feature, you will get to know about fun-laden places such as shopping malls, restaurants, and amusement parks etc. that generate user interest and are close. Another feature ‘Your Match’ will showcase places that are based on earlier Google ratings. Moreover, Google is taking the support of Machine Learning to offer this wow feature. It also comes with a share option that allows users to share it with their friends so that you can pick-up your friends in real-time. Yet another advanced asset is the addition of the camera with Google Maps providing better navigation of the routes. It has been named as Visual Positioning System (VPS). You have the extended support of the Google Lens that will make your search results more accurate and faster. It will show the snippets of information if the user is pointing the camera to a text. Then you also have Style Match feature allowing looking and buying same products that resemble the earlier ones. The lens is available in Pixel devices, LG G7 etc. So far Google News has been an important tool that has served millions of people worldwide for updating with latest headlines. Now, this tool getting an overhaul, you can get the five most important news stories on the top. In addition, it will also bring to light the local news as well. As such, the Google News App will act according to the preference of the user. 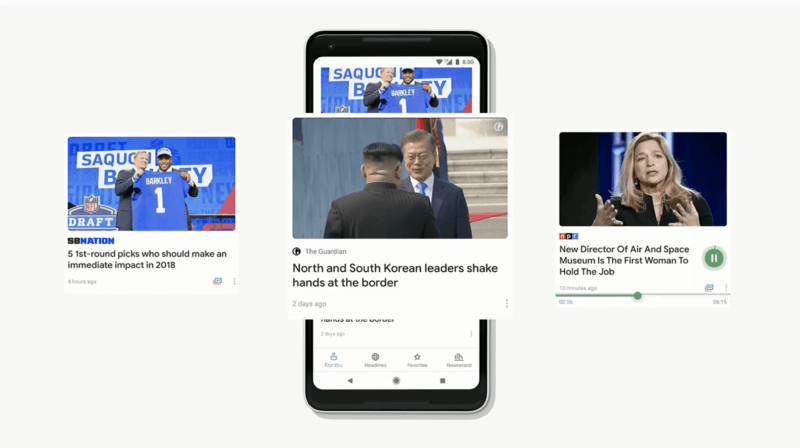 Now each of the news stories will probably get a video support from YouTube and adds a new feature Newscasts that is similar to Instagram stories. All this revamp will allow users to understand the incidents better. Then there is Full Coverage feature enabling you to find related stories and same incidents. In the Newsstand feature the users can either follow a particular magazine or daily or even subscribe it after paying the relevant fees. Google had also planned to bring forth a surprise product in the form of Waymo Driverless car. Yes, this surprise from Google was the star of the event and stole the show. John Krafcik, CEO of Waymo visited the event to launch the ultramodern car. From long time back we have come across stores about Google introducing a smart driverless car and this was a perfect day. In fact, this is Company’s project and Waymo belongs to its parent company Alphabet. In fact, it’s more of a driverless cab service that you can call. Waymo will have an app and you have to book it the same way as Uber. It is learning new lessons such as learning to drive in hard weather. Sundar Pichai during his speech said that the Company is all set to roll out with the third generation of silicon. It is known as Tensor Processor Unit 3.0, which will support the high-powered Artificial Intelligence. The TPU pod is 8 times more dominant than the last year with 100 petaflops. 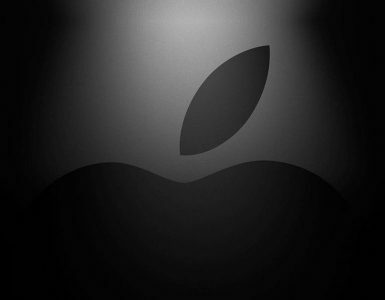 When Apple had launched iPhone X last year; it had emphasized a lot on making the best use of the AI technology. Now Google is doing the same with the new ML kit or Machine Learning Kit. It offers several features such as image labeling, facial recognition, and identifying the text etc. 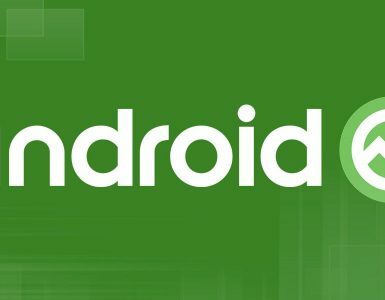 It will be made available to the Android app developers and allow them to create smarter and intelligent apps. 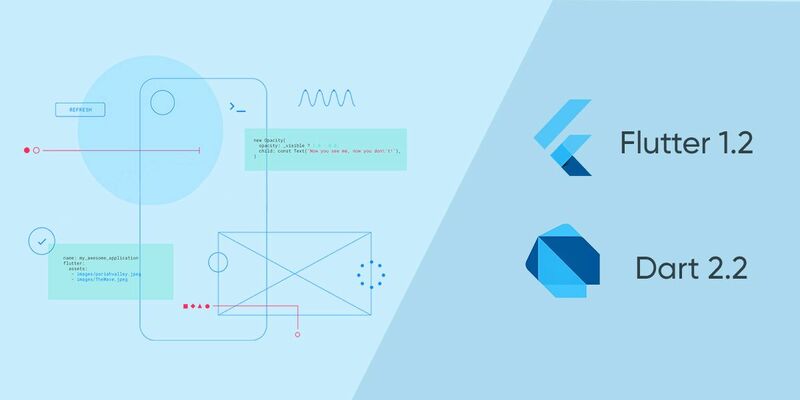 Google at its I/O conference made some of the most vital announcements that can reveal about the future plans of the Company. As the technology is getting better and better, even giants like Google has to implement fresh and new updates to compete well and succeed in the market. 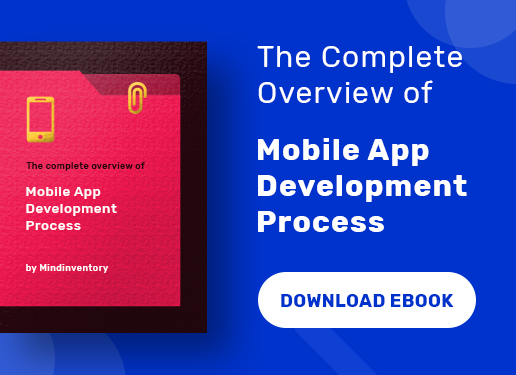 Now, it’s the turn of the developers as to how they can derive maximum benefits from these new features and updates and make outstanding apps.